The Global Business Services incentive - which came into effect on January 1, 2019 - was first launched last month by the minister in London. It replaces the previous Business Process Services Incentive, according to a statement from the department of trade and industry (dti). "Areas of special interest by potential global investors are legal services, finance and accounting and IT services," Davies said. "With the added benefit of the incentives, South Africa will be able to attract a significant share of the opportunities presented by global market which this sector presents. 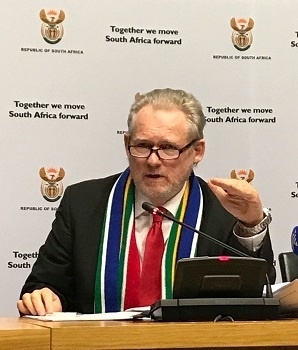 "The dti has partnered with the industry to develop a compelling value proposition to investors which will support government’s objectives of job creation within South Africa, primarily for youth and increase export revenue," the statement read.